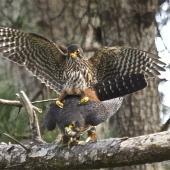 Geographical variation: A single variable species divided into three forms: bush falcon, smallest and darkest, from North Island and north-west South Island; eastern falcon, largest and lightest, from eastern and central South Island; southern falcon, intermediate in size and colour, from Fiordland, Stewart Island and Auckland Island. 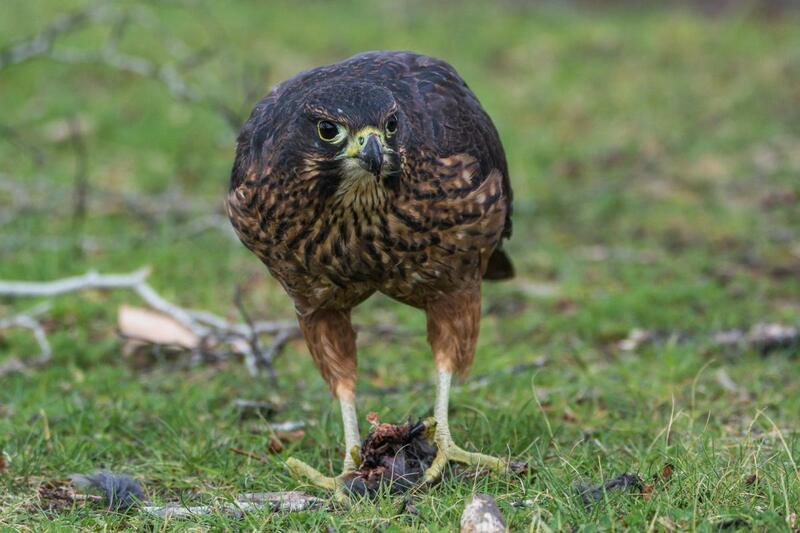 The New Zealand falcon is a magpie-sized raptor that feeds predominantly on live prey. 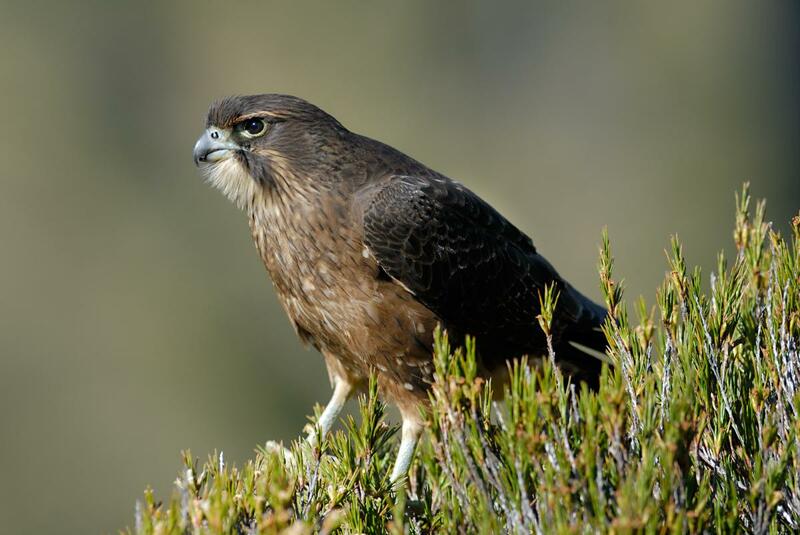 Adapted to hunt within the dense New Zealand forests they are also found in more open habitats such as tussocklands and roughly grazed hill country. 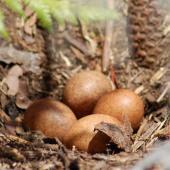 More recently they have been discovered breeding in exotic pine plantations. 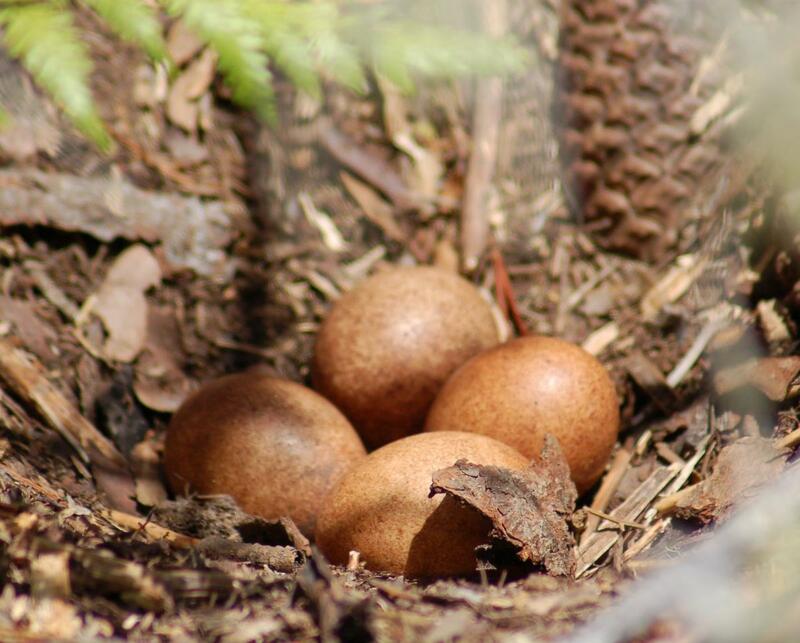 Laying their eggs in simple scrapes they can nest in a variety of locations, from within the epiphytes that grow in large trees, to on the ground under small rocky outcrops. 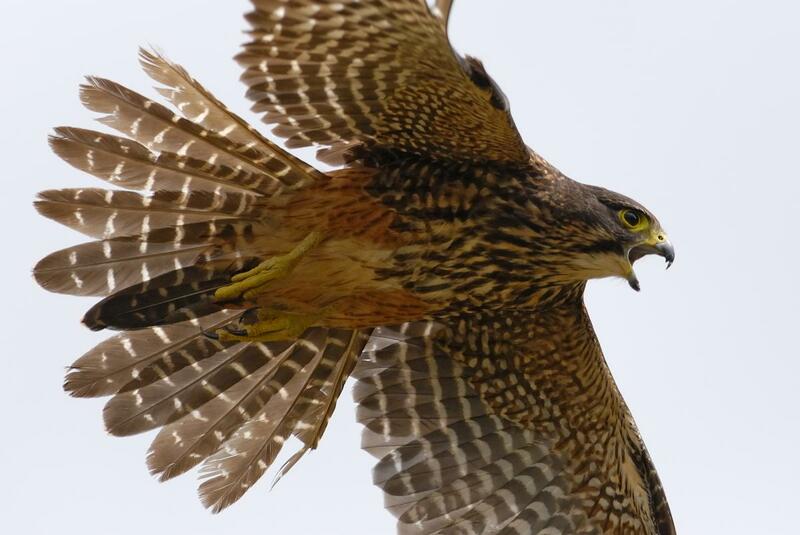 Where they nest on the ground they are well known for attacking intruders, including humans, with aggressive dive-bombing strikes to the head. 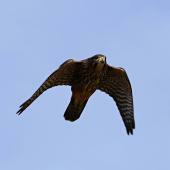 Often seen hunting small passerines in dramatic chases, they have long pointed wings and a long tail. 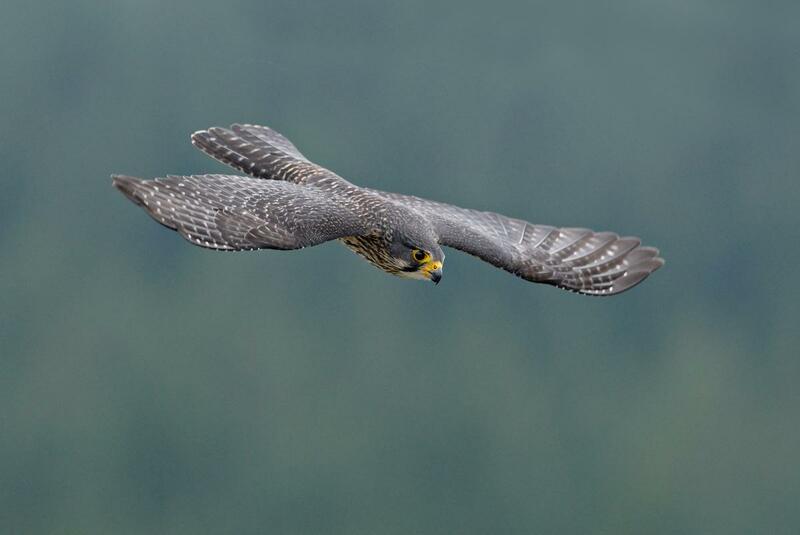 Wings and tail open out into a more rounded shape when soaring. 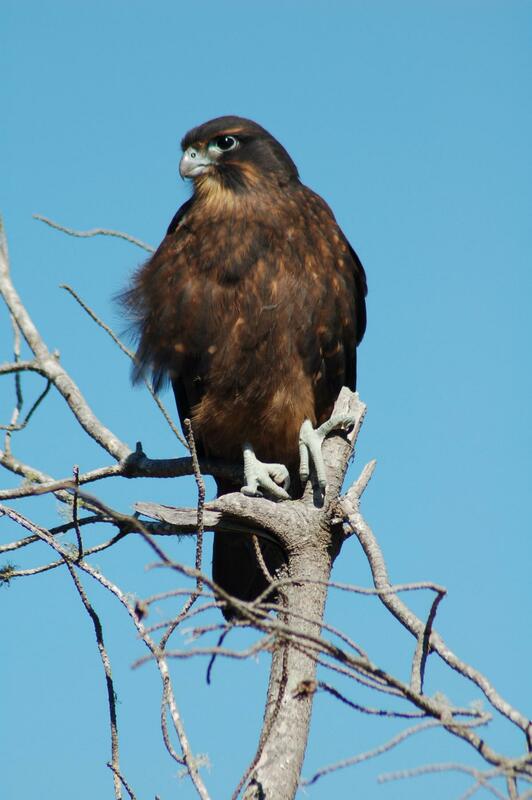 When perched they have an upside-down teardrop shaped silhouette. 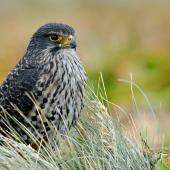 Males are approximately a third smaller than females. All ages have a dark eye and a distinct moustache or malar stripe running from the back of a strongly hooked bill vertically down the face. 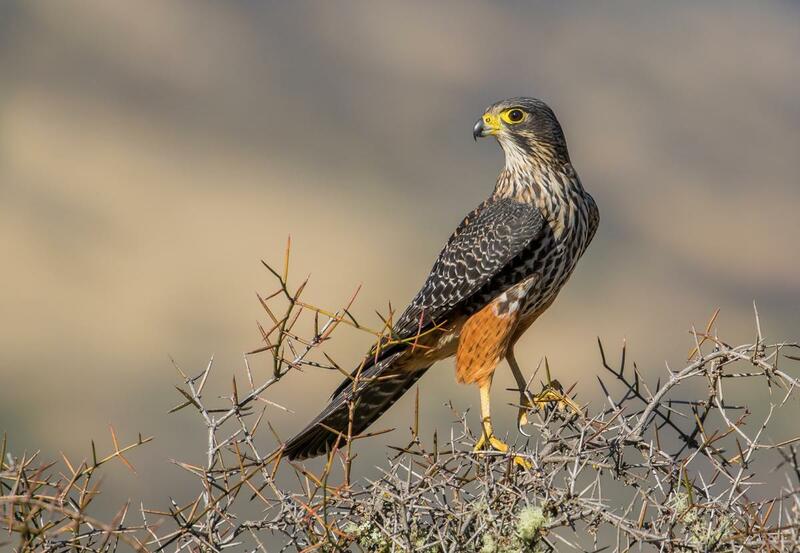 Adults have yellow legs, eye-ring and cere, are largely dark brown on the back, have a streaked cream breast and a rufous under tail and thighs. 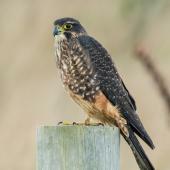 Recent fledglings and juveniles are more uniformly dark brown, lacking the defined cream streaks on the breast, and their legs, eye-ring and cere are blue-grey. 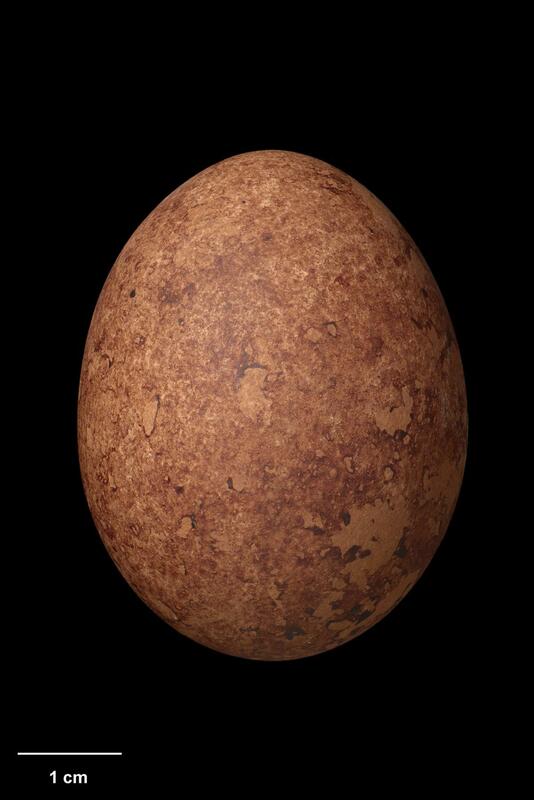 Voice: A loud ‘kek kek kek’ is commonly uttered in defence of a territory by both adults during the breeding season. 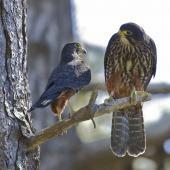 The female’s call is deeper than the male’s more high pitched call. 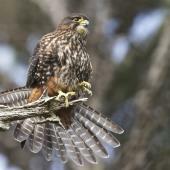 Adult females and juveniles will also ‘whine’ for food and a ‘chitter’ is often uttered during interactions between falcons. 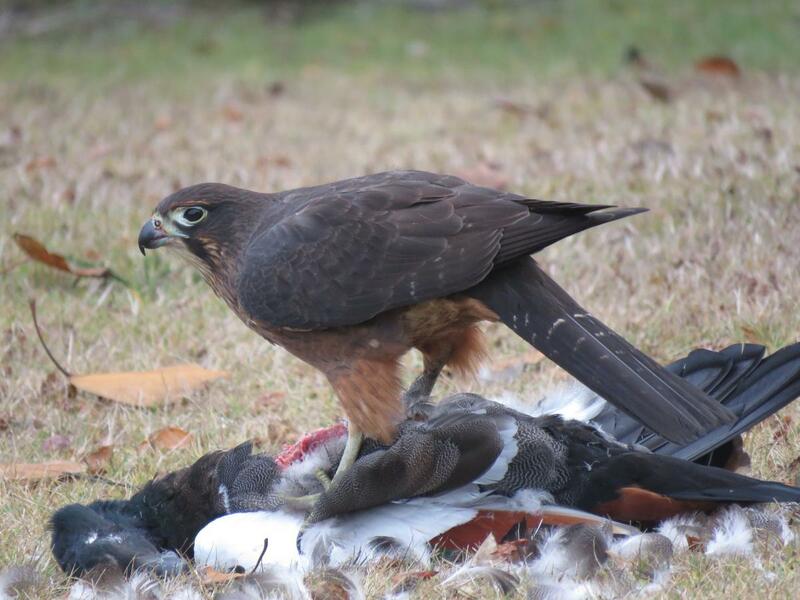 Similar species: Sometimes confused with the swamp harrier that is commonly seen feeding on road-kill, the falcon very rarely feeds on carrion, and is smaller. 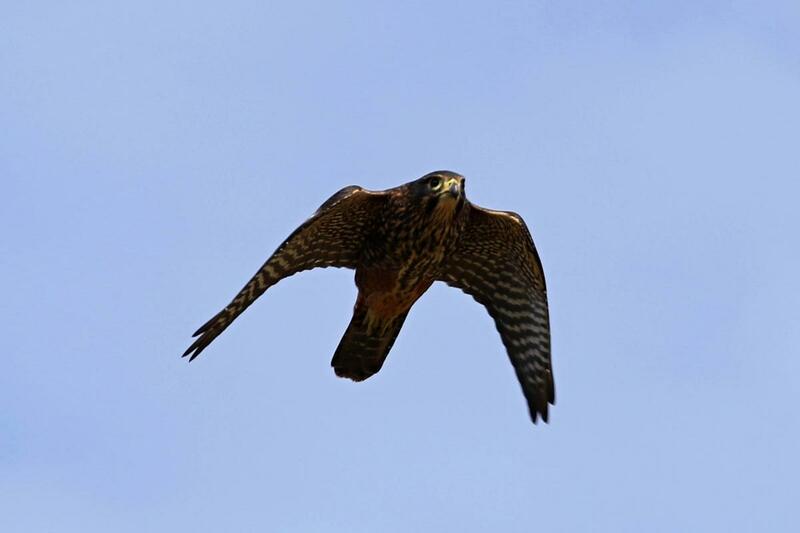 Falcons are more often seen in active chasing flights rather than the lazy quartering flights typical of the harrier. 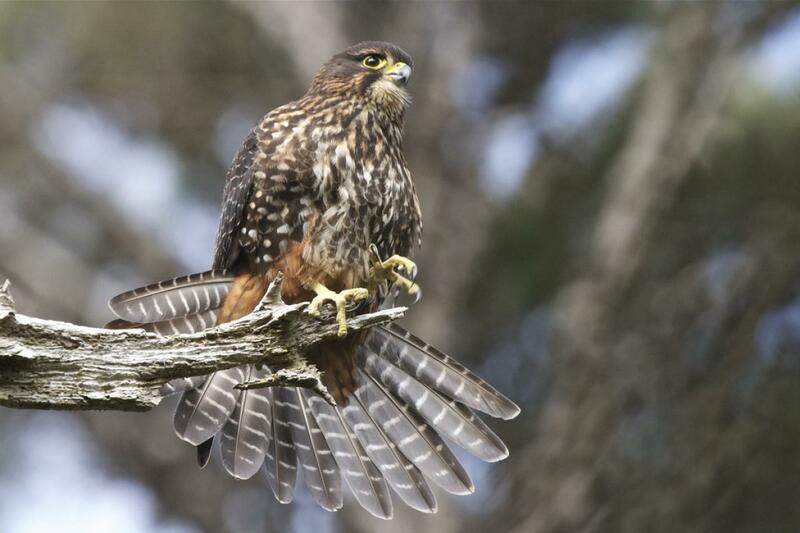 The falcon lacks the obvious cream/pale rump of the harrier and glides with its wings set flat rather than in a shallow V-shape. 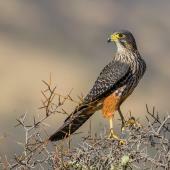 Long-tailed cuckoo also have long pointed wings, a long tail and rapid wing beats. 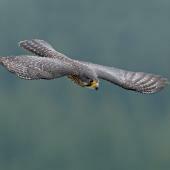 However falcons have a deeper wing, their tail is not quite as pronounced and their flight is less erratic. Easily distinguished by the difference in calls: the cuckoo almost always uttering its harsh chatter ‘rrrp pe-pe-pe-pe-pee’ when flying. 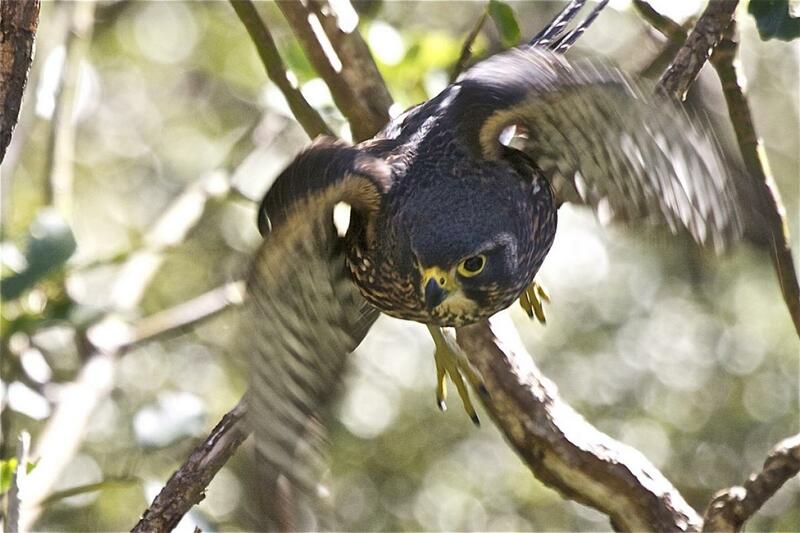 The falcon could also be confused with vagrant raptors that occasionally arrive in New Zealand from Australia. 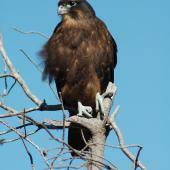 The black kite is larger (roughly the size of a harrier) and has a distinctive forked tail. 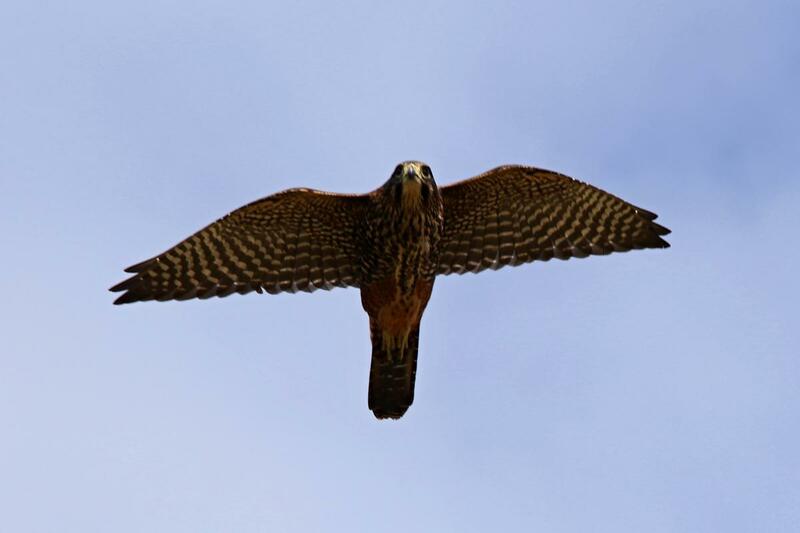 The nankeen kestrel is more delicate, has a cinnamon brown back, long slender wings and a habit of hovering which our falcon does not. 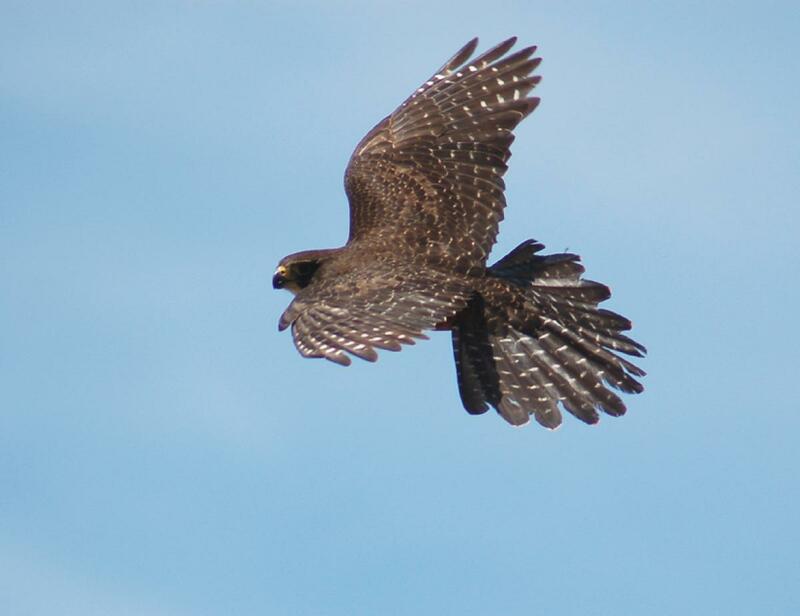 The black falcon is more uniformly sooty black and has far longer more pointed wings that when folded almost reach the end of the tail. 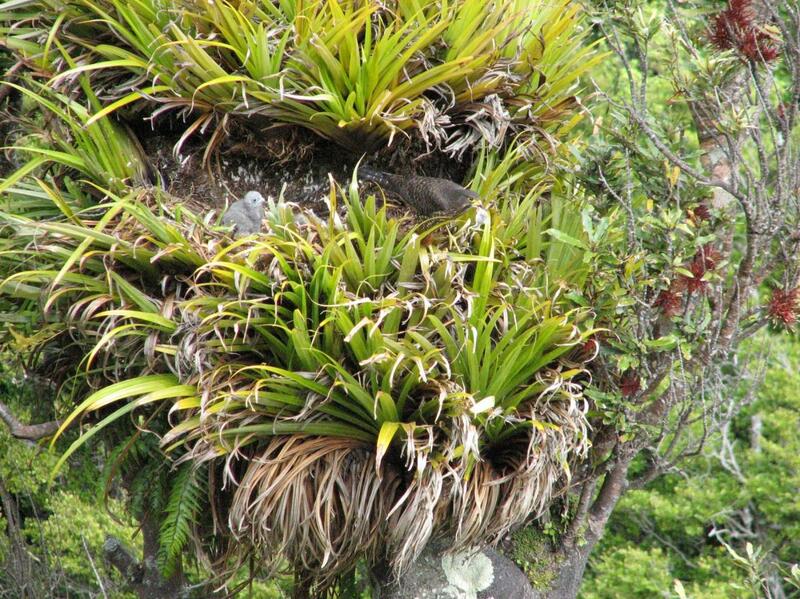 Widely distributed on both main islands where suitable habitat occurs. Sparse breeder north of a line between northern Taranaki and Rotorua. Absent from Northland. 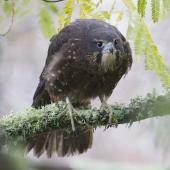 Although rare on Stewart Island, populations extend as far south as the Auckland Islands. 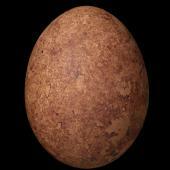 Was once present on the Chatham Islands. 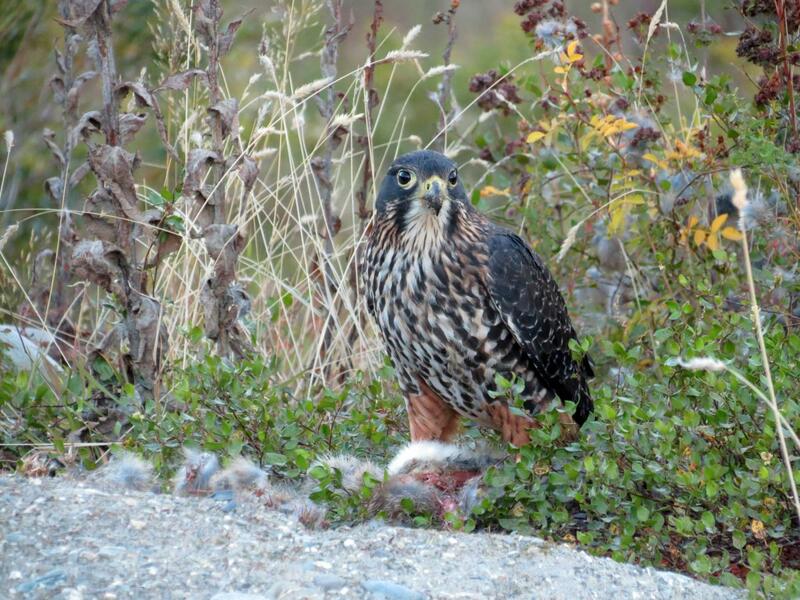 Falcons breed in a wide variety of habitats from the coast to above the tree line, including native podocarp and beech forest, tussocklands, roughly grazed hill country and pine forest. 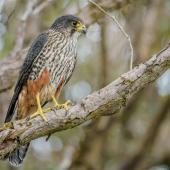 They may also breed in more intensively farmed areas where suitable bush remnants remain. 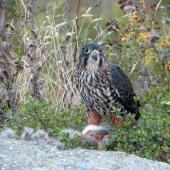 Falcons have recently been encouraged to breed in vineyards in the Marlborough region. 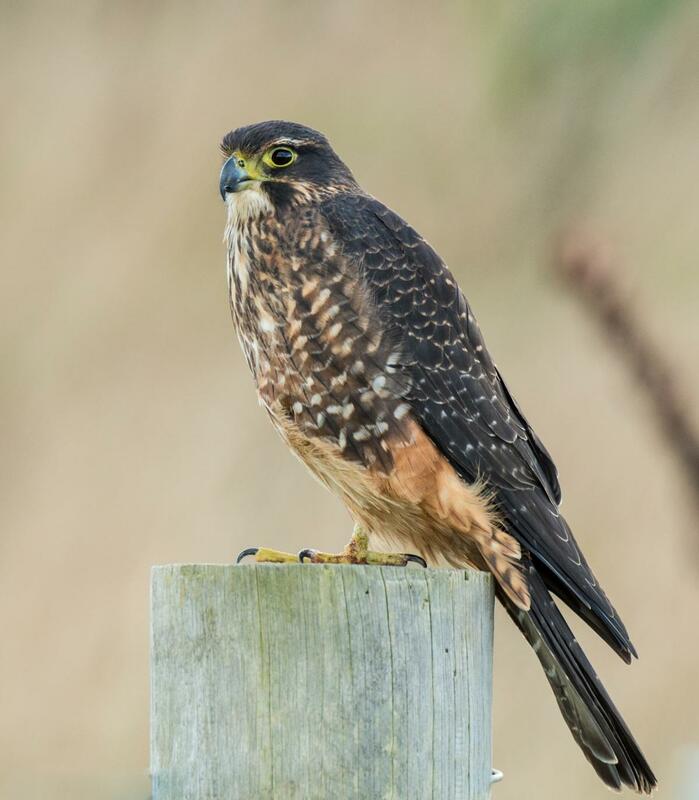 Although absent as breeders from most urban and intensive agricultural landscapes, juveniles can be observed almost anywhere in New Zealand during winter as they disperse from their natal territories. 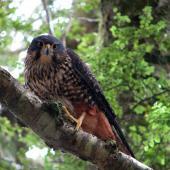 A pair that breeds in Zealandia/Karori Sanctuary has a foraging territory that includes much of the central city. 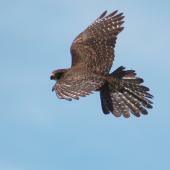 Widespread but rare; population estimated in the 1970s at c.4000 pairs. 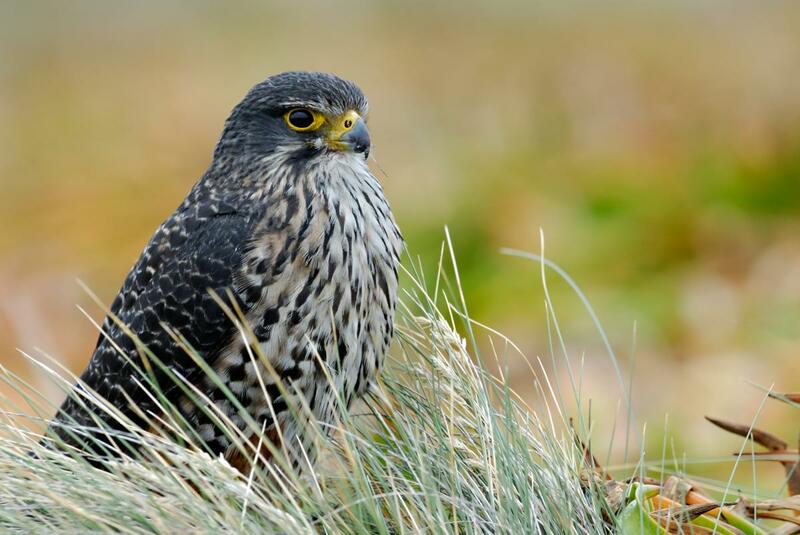 Clearance of native vegetation and the intensification of land-use practices have significantly reduced the amount of habitat suitable for breeding. 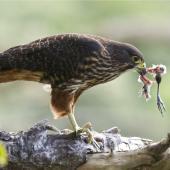 Habitat degradation and modification has also affected prey populations. 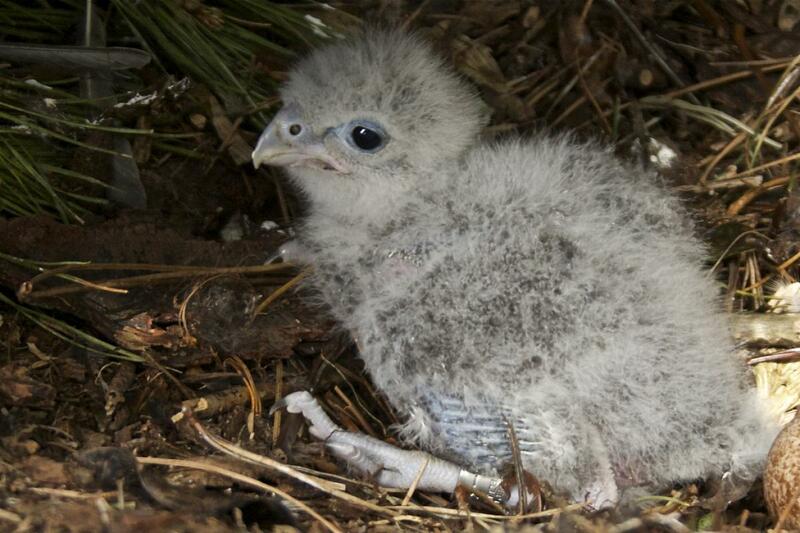 Cats and mustelids have been filmed preying on adults and chicks. 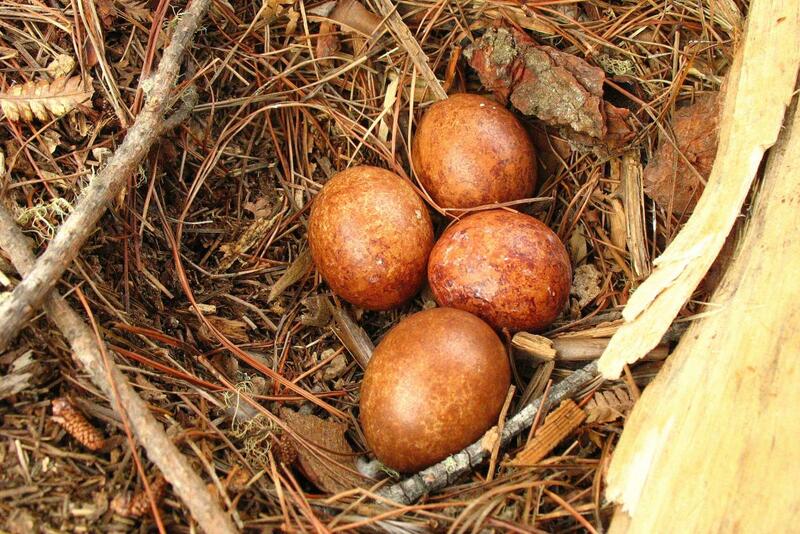 Pigs and possums take eggs and chicks, and hedgehogs may do so in some areas. 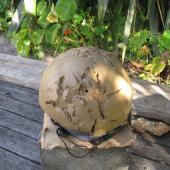 Electrocution is a major problem in areas where many un-insulated power lines occur. 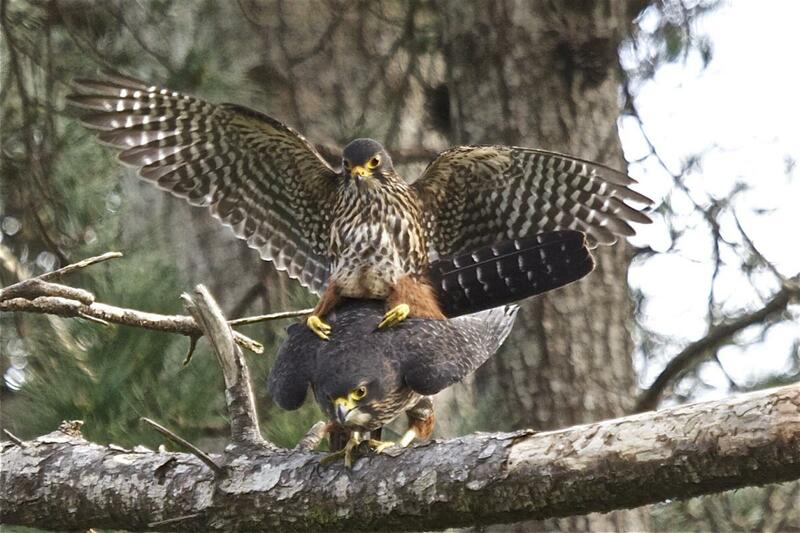 The persecution of falcons remains commonplace throughout New Zealand, with some birds being shot every year. 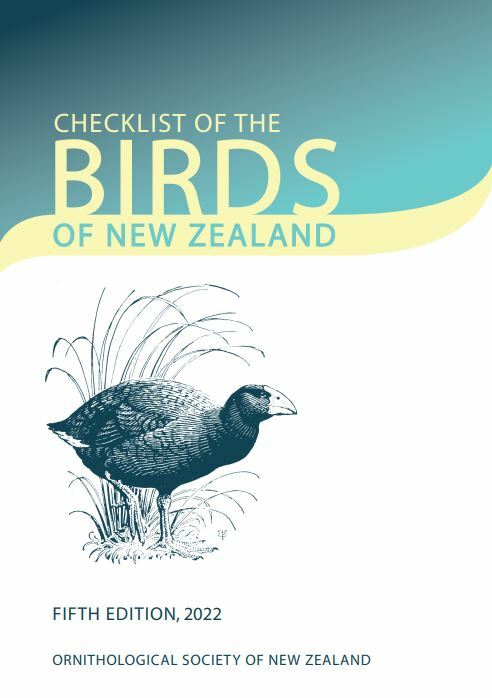 Captive-rearing, fostering and release techniques are well refined, and populations are being supplemented in several areas around New Zealand. 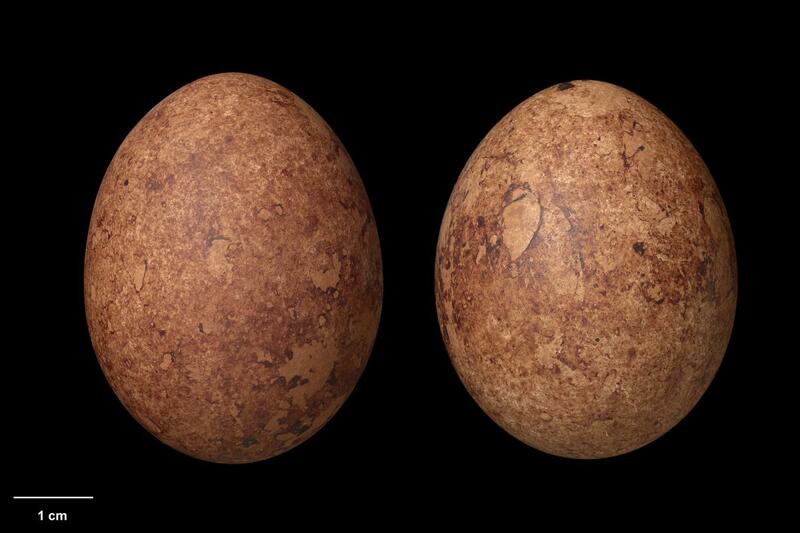 Spring and summer breeding. Clutch size 1-4. 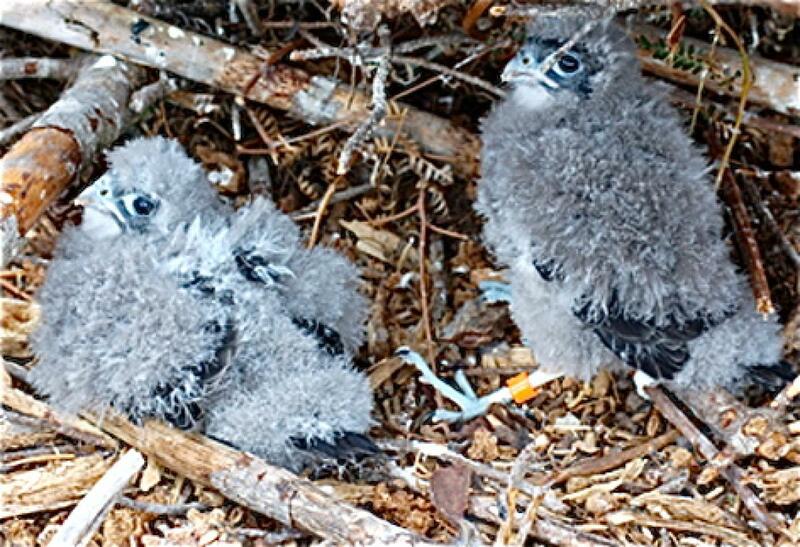 Incubation is generally shared, but brooding is predominantly done by the female, while the male does most of the hunting. 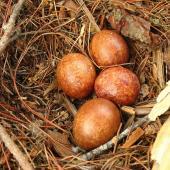 Eggs are laid into a simple scrape in the ground with varying amounts of cover, on a ledge or within an epiphyte in a tree. In hill country they generally nest part way up a slope. 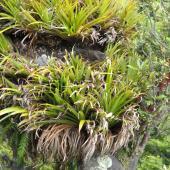 In forested areas this may be on the ground where a tree fall affords a suitable view over the surrounding gully. 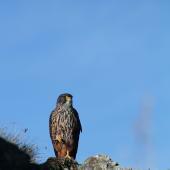 A very versatile and adaptable species compared with many other falcon species. 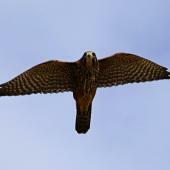 The relatively short, deep rounded wings, and long tail make them exceptionally manoeuvrable. 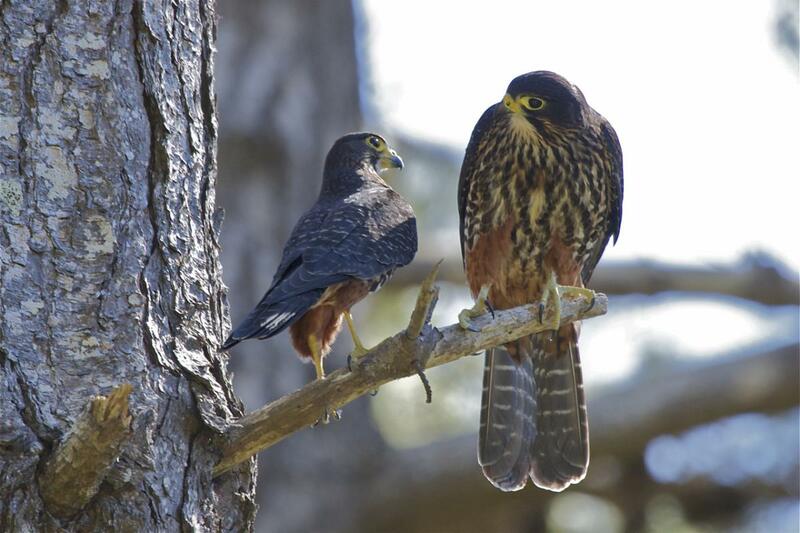 Combined with their relatively long legs and toes this allows them to weave through dense bush and catch small birds on the wing. They often hunt from a perch ¾ up a tree but also hunt along habitat edges or surprise prey by contour-flying close to the ground. 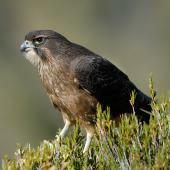 Home-range size differs between habitats but is around 9 km2 in pine forest. 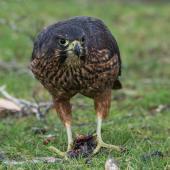 Mostly small to medium-sized birds, but occasionally takes prey much larger than itself such as black shags, poultry and pheasants. 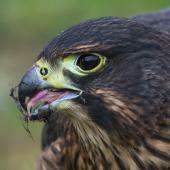 Will also take mammals such as rabbits and ¾ grown hares. 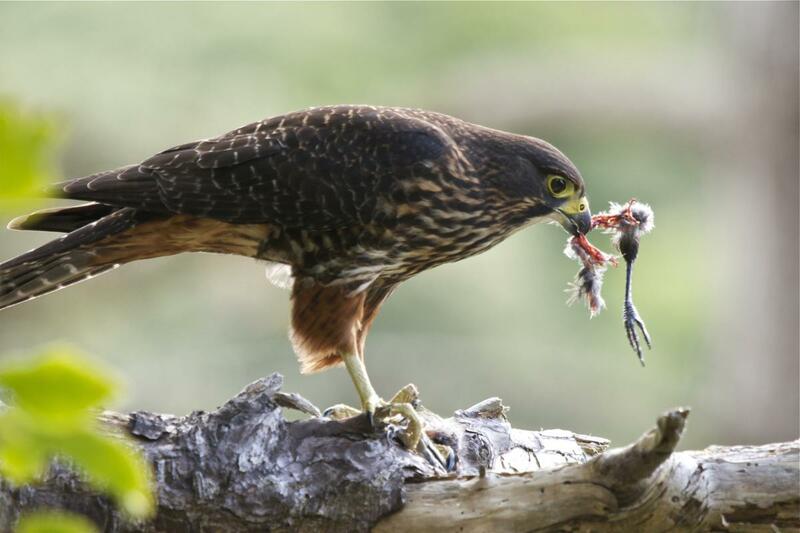 Juveniles especially will feed on insects including cicadas, dragonflies and huhu beetles, especially during the period that they are learning to hunt for themselves. 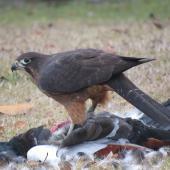 Prey is generally taken in proportion to its abundance. Barea, L.P. 1995. 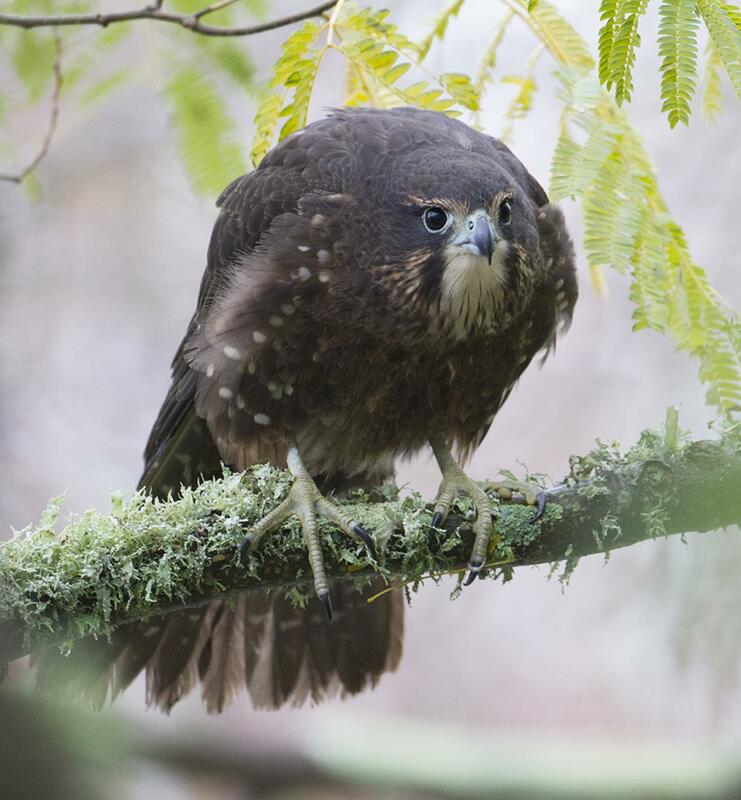 Habitat use, diet and nest site selection of forest-dwelling New Zealand falcons (Falco novaeseelandiae Gmelin 1788) in a forested habitat. Unpublished MSc thesis, University of Waikato, Hamilton. Bell, D.; Lawrence, S. 2009. 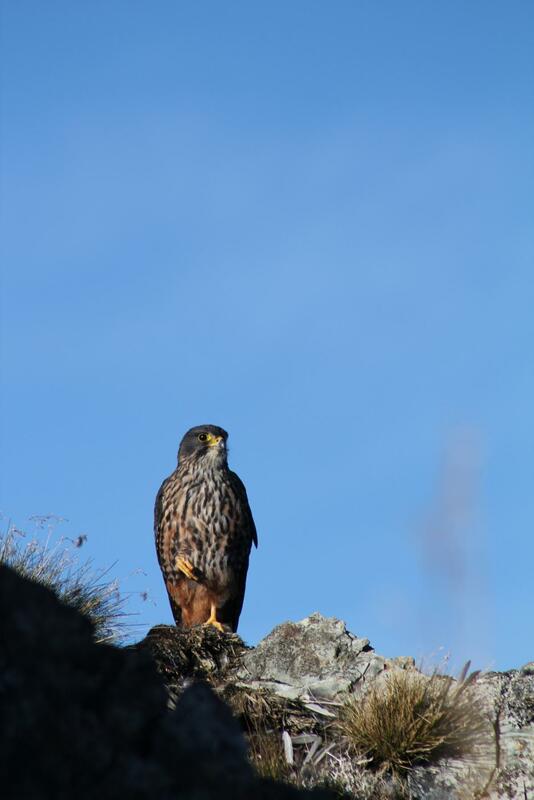 New Zealand falcon (Falco novaeseelandiae) distribution survey 2006–09. Notornis 56: 217–221. Fox, N.C. 1977. 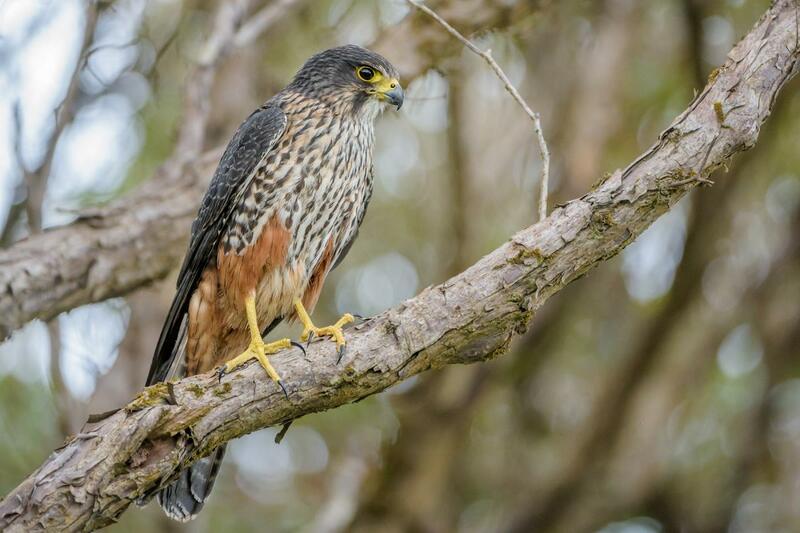 The biology of the New Zealand falcon (Falco novaeseelandiae Gmelin 1788). Unpublished PhD thesis, University of Canterbury, Christchurch. Kross, S.M. 2012. 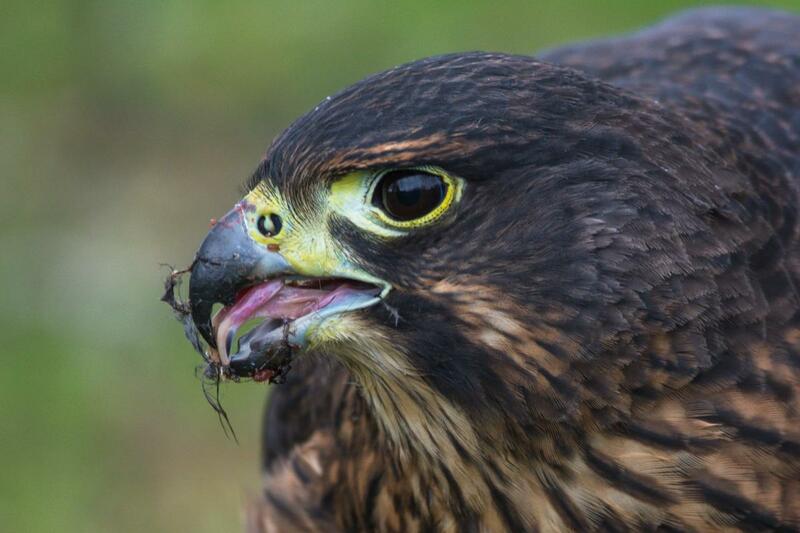 The efficacy of re-introducing the New Zealand falcon into the vineyards of Marlborough for pest control and falcon conservation. Unpublished PhD thesis. University of Canterbury, Christchurch. Laurence, S.B. 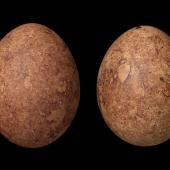 ; Gay, C.G. 1991. 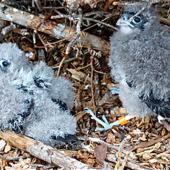 Behaviour of fledgling New Zealand falcons (Falco novaeseelandiae). Notornis 38: 178-182. Seaton, R. 2007. 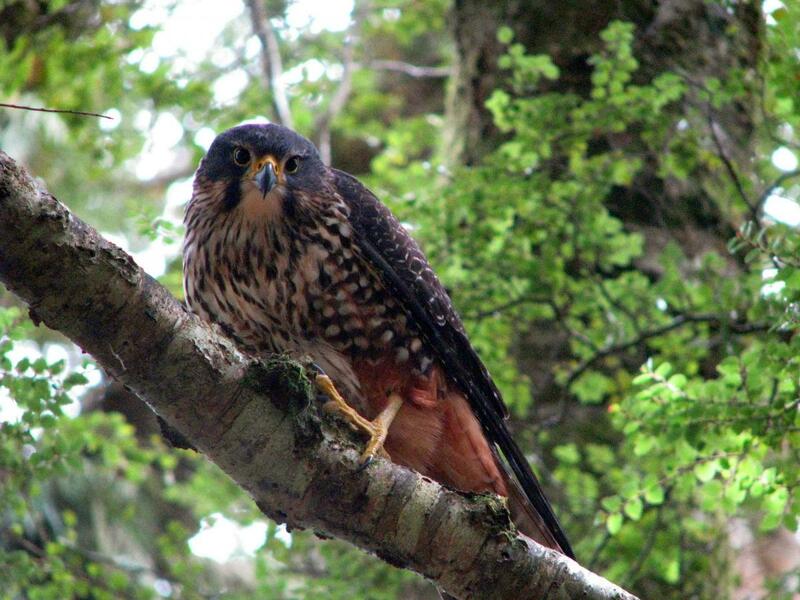 The ecological requirements of the New Zealand falcon (Falco novaeseelandiae) in plantation forestry. Unpublished PhD thesis, Massey University, Palmerston North. Seaton, R.; Fox, N.; Wynn, C.; Olley, L. 2011. 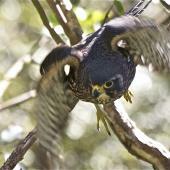 The Marlborough New Zealand Falcon conservation programme: Lessons learnt and future directions. 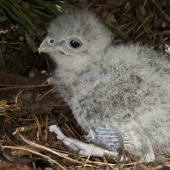 International Wildlife Consultants Report, UK. Stewart, D.; Hyde, N. 2004. 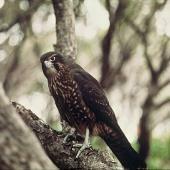 New Zealand falcons (Falco novaeseelandiae) nesting in exotic plantations. Notornis 51: 119-121. Thomas, A.C.W. 2008. 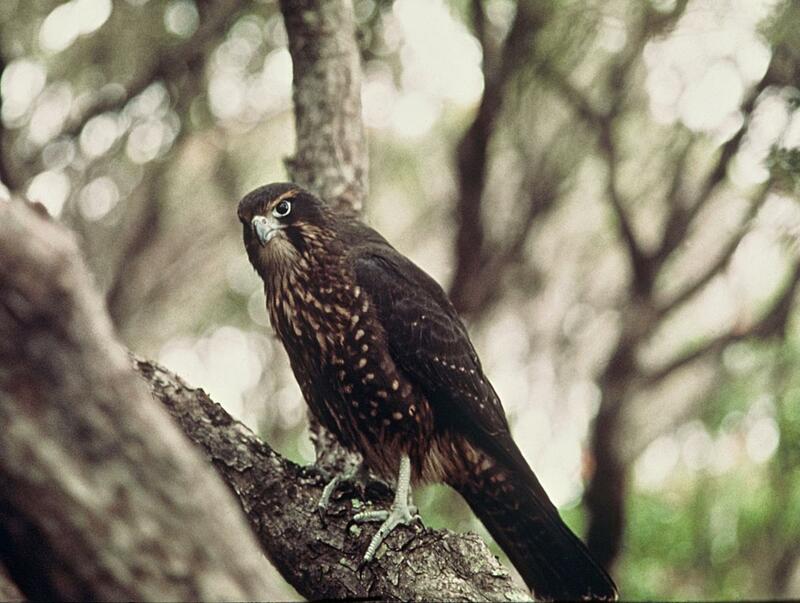 The behaviour and development of New Zealand falcons (Falco novaeseelandiae) nesting in a plantation forest. 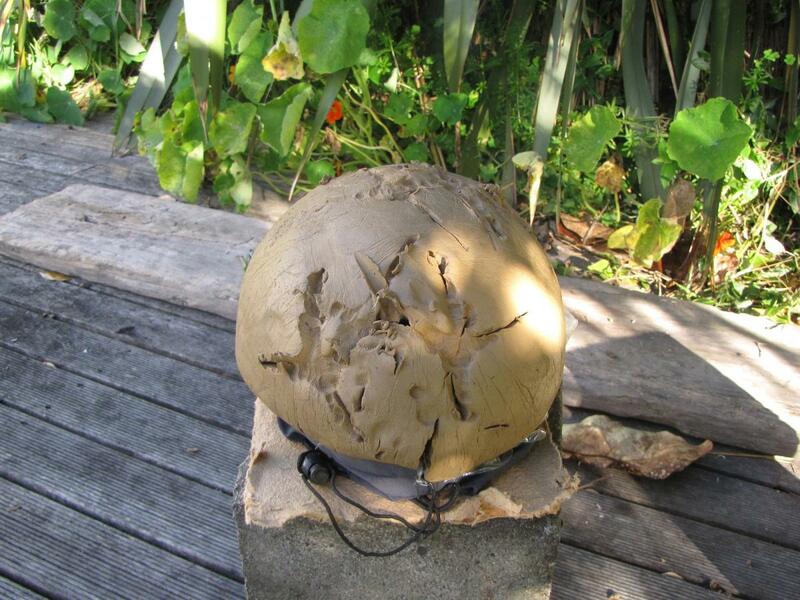 Unpublished MSc thesis, Massey University, Palmerston North. 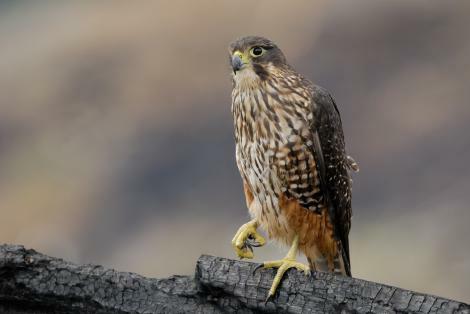 A robust falcon with broad wings, long tail, long yellow legs and toes, yellow eye-ring and cere, dark eyes, and a distinct moustache stripe from the base of the strongly hooked bill down the face. 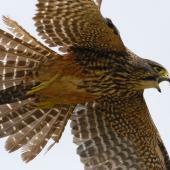 Adults are brown-backed with a streaked cream breast and a rufous under tail and thighs; fledglings and juveniles are dark brown, lack cream streaking, with blue-grey legs, eye-ring and cere.